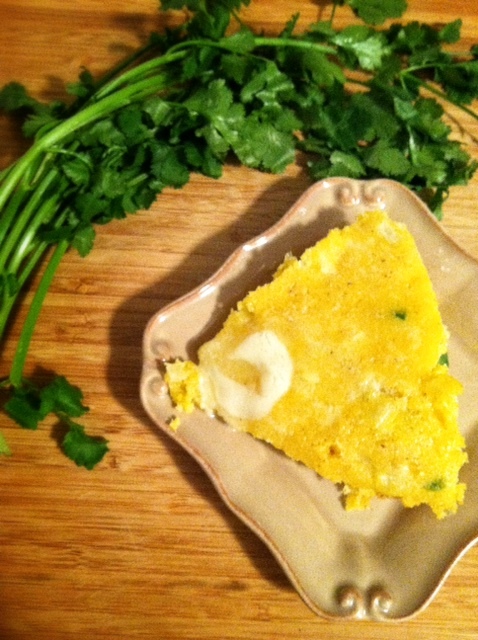 I call this Grandma’s Mexican Cornbread for a reason but it has nothing to do with my Grandmother. Here is the story. You see, I had this cornbread a few years ago after a funeral. [I didn’t say it was a cheerful story.] Somebody’s, cousin’s, husband’s, grandmother (how’s that for a family tree?) sent it over to the house of the grieving group. Since clearly, I know people, see: am probably related to them twice-they call that “double kin”, I got the recipe. 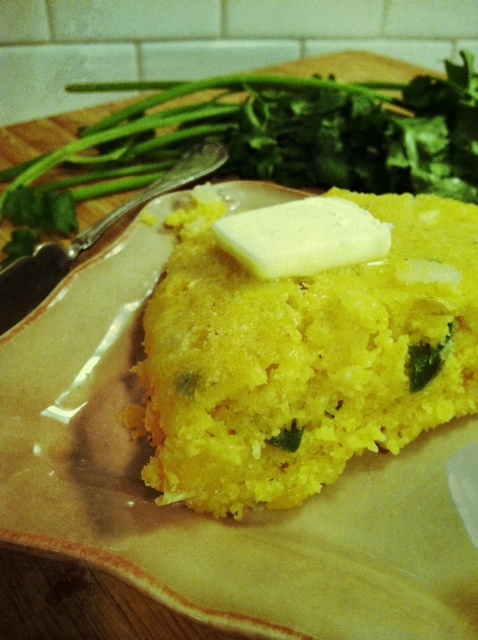 So to you, when you make this recipe, it will be Someone’s Grandma’s Mexican Cornbread. To me, the only good thing about a funeral, is the food. People want to make you feel better so they cook their favorite feel good food and bring it on by. Especially in small towns. People in small towns, in my experience, send the best and greatest amount of food. I have never been one to enjoy pot luck, unless it was at a funeral because let’s face it, people don’t always practice safe cooking, hand washing or four legged friend discipline-at home. However, the way I see it, at a funeral, you have already had a lot of bad things happen recently, so food poisoning can’t be added to the list. 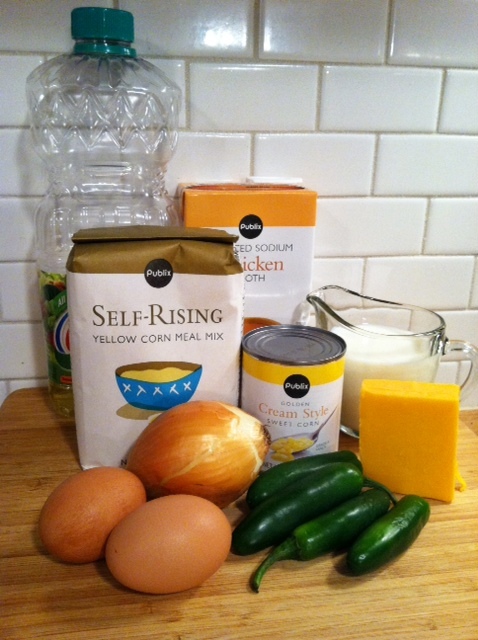 Don’t be confused by this group of ingredients picture. 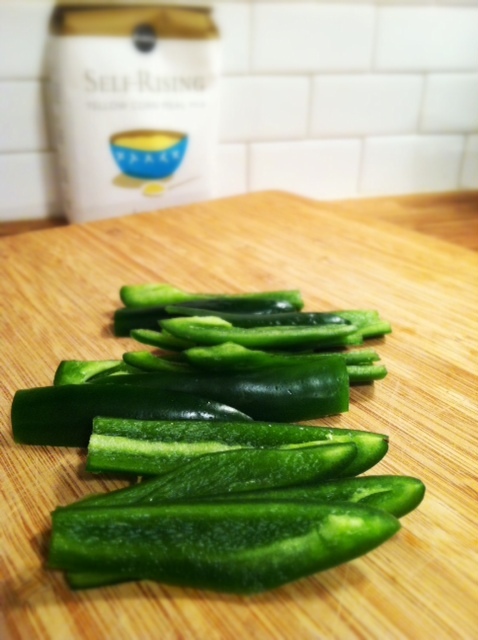 Chicken broth is slick and snuck in for a photo-op but the recipe doesn’t call for chicken broth. These guys give this cornbread a welcomed kick! The old lady makes a Carrot Cake worth posting too. Heat oven to 350 degrees. Coat cast iron skillet with some oil. Place in the oven. 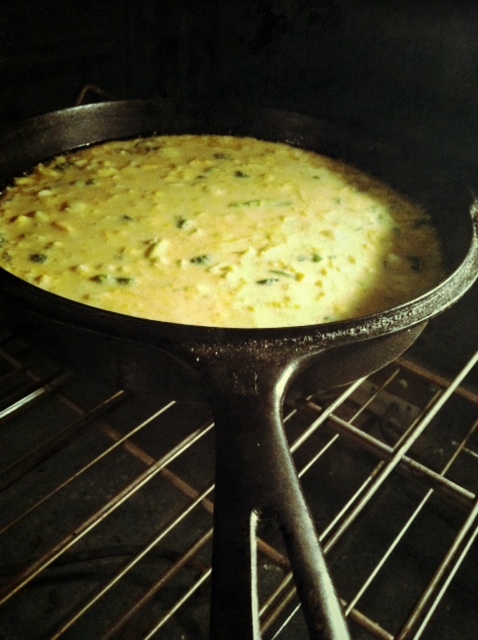 While the skillet is getting hot, in a large bowl, mix eggs, oil corn, mil and meal. Mix well. 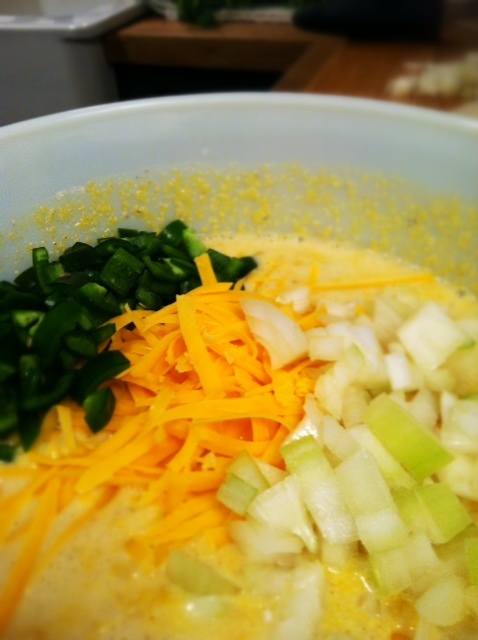 Add onion, jalapenos and cheese. Stir to combine. 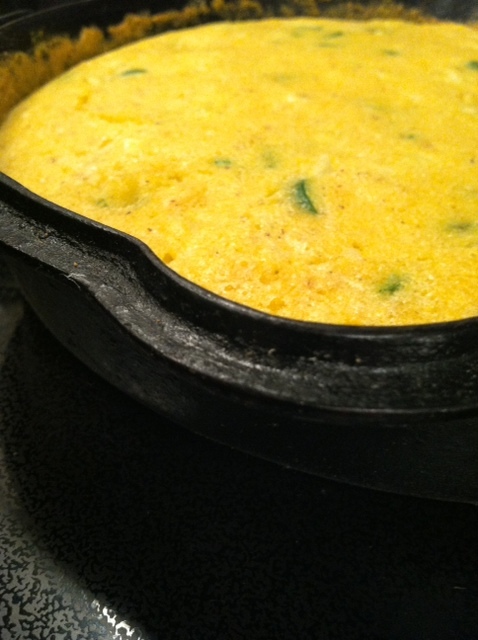 Carefully remove skillet from the oven and pour in the batter. Love this recipe and sure gonna try it. SOUTHERN funerals have to be the very best because of the special friends who send food to comfort hurting souls. Glad I’m southern (maybe even “redneck”)! !